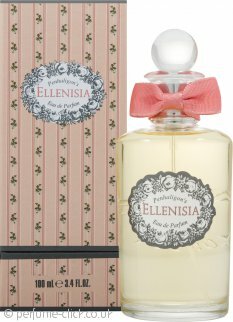 Ellenisia by Penhaligon’s is a rich floral fragrance for women. The notes include interesting combinations of gardenia and jasmine, tuberose and vanilla as well as plum and violet creating an exciting, flowery fragrance burst. Although the bottle is floral, feminine and elegant, the fragrance itself is very unapologetic and contradictory. The notes of the fragrance clash together in representation of how one truth is not always as it seems. Ellenisia was launched in 2005. This is a subtle, summer, floral, fragrance which I discovered recently. It lasts well and I love it. This is a truly gorgeous floral. Penhaligon's are renowned for their use of quality ingredients and this is no different. I don't normally find the longevity or sillage of Penhaligon's scents particularly outstanding but this one is one of their better ones for lasting power.Don't expect a sillage bomb though. This is a classic, understated fragrance.